Get the scent you love in this cleansing activated charcoal body wash.
Secondly, our Body Washes are saponified vegan oils, which carry a smell of soap. The essential oils blend with that to create a soapy-scent. It’s how it goes. 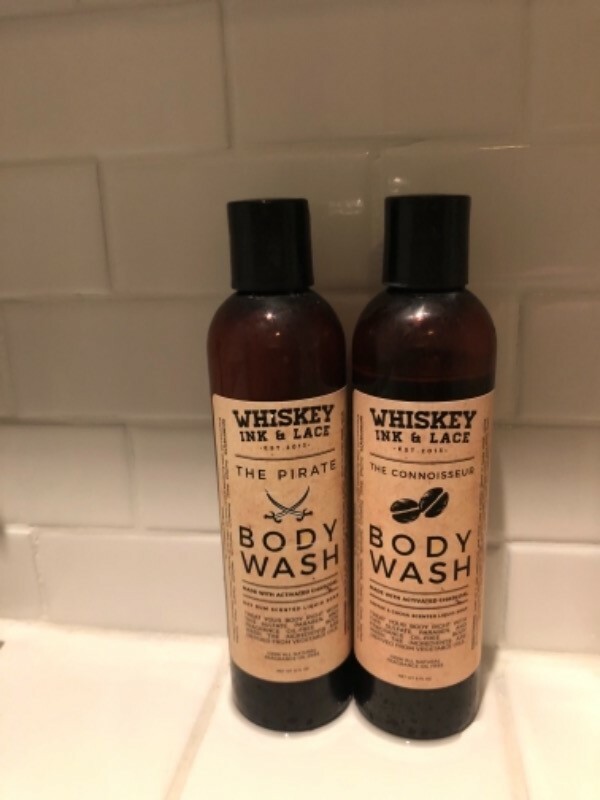 Body washes that you buy at big box stores have artificial chemicals and fragrance oils in them to make the scent cling to your skin, but that’s not natural and can also contain neurotoxins and cause health issues. A little about essential oils and the beard oils’ scents: If scents and fragrances often give you headaches, you have nothing to worry about here! What causes migraines are fragrance oils, which are usually filled with chemicals that are oftentimes neurotoxins. Our scents are 100% natural, created from combinations of therapeutic essential oils, which often can help with headaches, rather than cause them. I really love the smell of this body wash and the way it makes my skin feel, however I wish I lathered a bit more. I feel like I have to use more than other body washes to get clean, and that being said, the bottle is a bit small for the price. I wouldn’t mind as much if it lathered more, as I think it would go further.